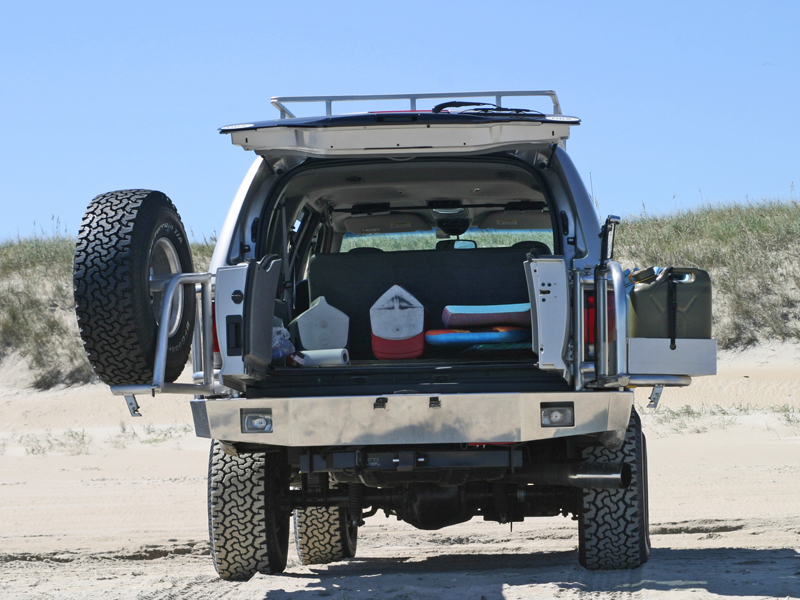 Storage is a premium when taking your family on long vacations, and if your Excursion has over-sized tires then you also have to compete with a tire that no longer fits underneath your vehicle. 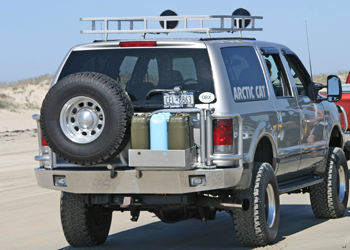 The solution is an Aluminess Rear Bumper. 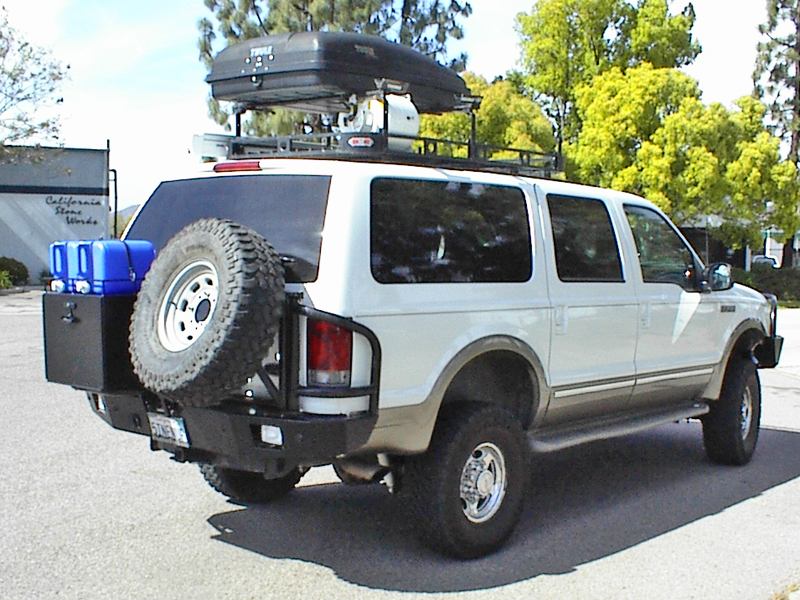 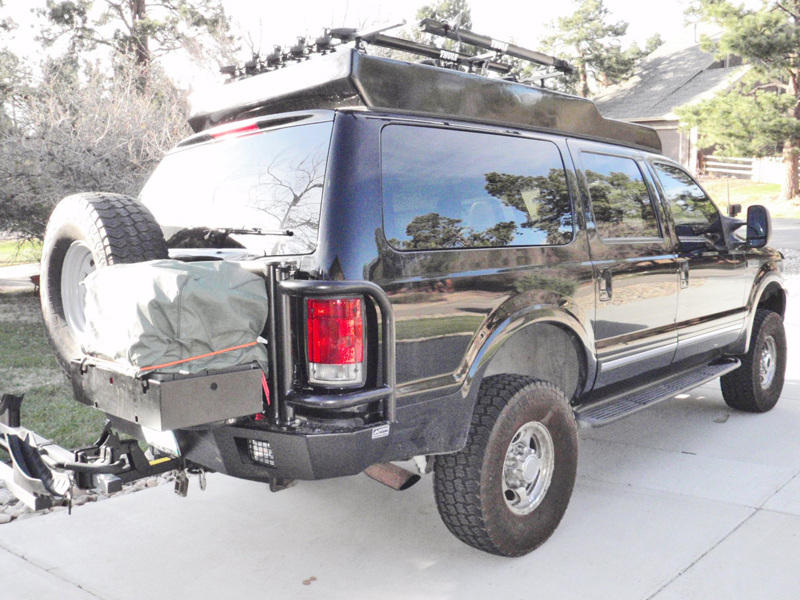 With 2 swing arms to hold your spare tire and a storage box you will now have more room for the essentials inside your Excursion. 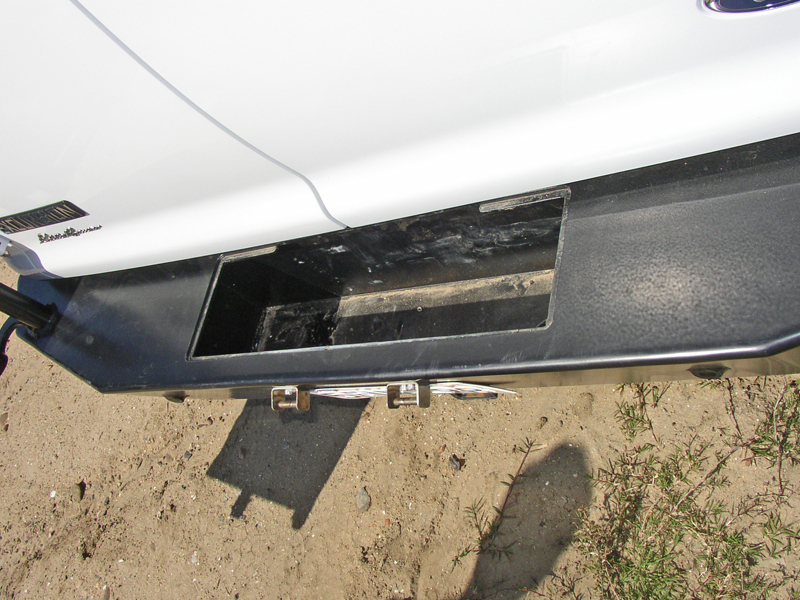 In most cases any of the Aluminess boxes will work on the swing arm, so whether its extra fuel, a generator, or recovery gear that you need, your Aluminess Rear Bumper is there to save the day. 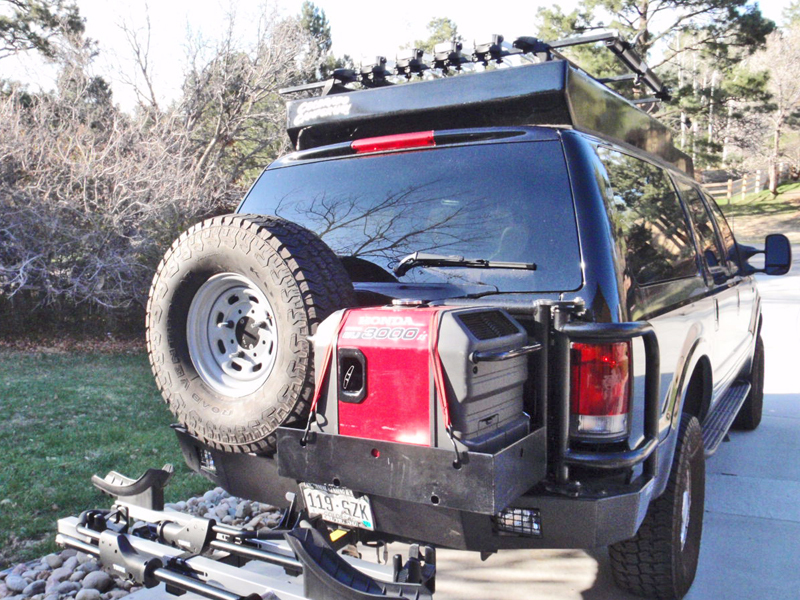 This black anodized bike tray bolts right up to the Aluminess Bike Rack Swing Arm and includes all of the necessary hardware for installation. 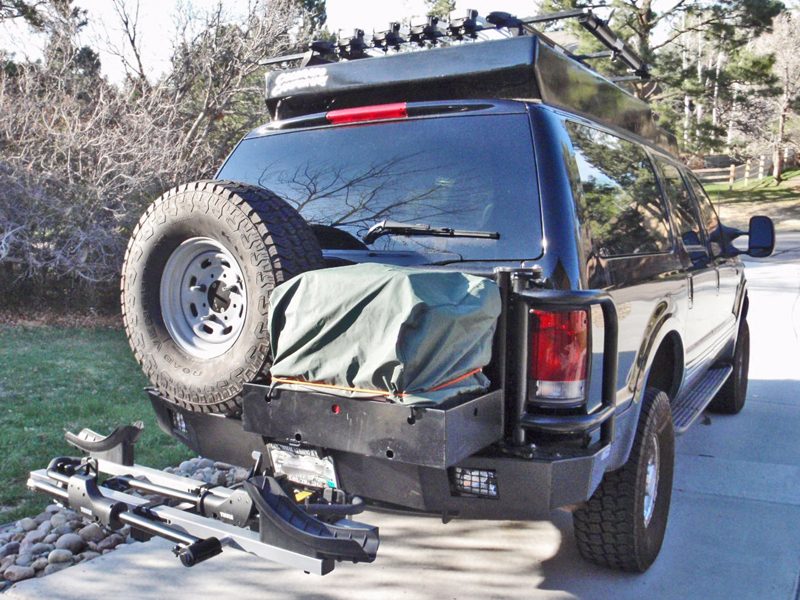 This clear anodized bike tray bolts right up to the Aluminess Bike Rack Swing Arm and includes all of the necessary hardware for installation.